This week’s roundup sees Airbus secure a multi-billion dollar aircraft order with China, Liberty begins construction on a new £10m automotive technology hub, plus the love for online shopping continues to grow, but how green is your parcel…? 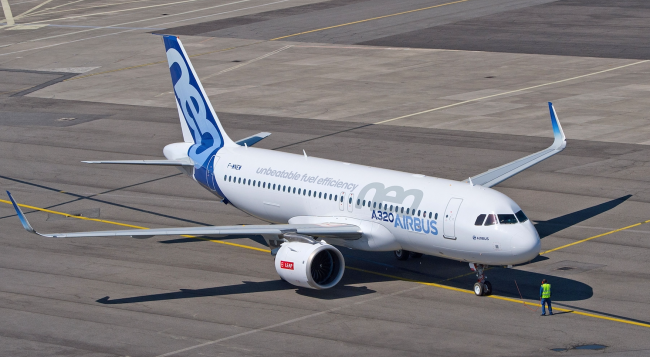 Airbus and China Aviation Supplies Holding Company (CAS) have signed a General Terms Agreement (GTA) covering the purchase by Chinese airlines of a total of 300 Airbus aircraft. The GTA was signed in Paris by Guillaume Faury, President of Airbus Commercial Aircraft and future Airbus CEO; and Jia Baojun, Chairman of CAS; in the presence of visiting Chinese President Xi Jinping and French President Emmanuel Macron. The GTA comprises of 290 A320 family aircraft and 10 A350 XWB family aircraft, reflecting the strong demand in all market segments including domestic, low cost, regional and international long haul from Chinese carriers. According to Airbus’ latest China Market Forecast 2018 to 2037, China will need some 7,400 new passenger and freighters aircraft in the next 20 years. It represents more than 19% of the world total demand for over 37,400 new aircraft. By the end of January 2019, the in-service Airbus fleet with Chinese operators totalled 1,730 aircraft, of which 1,455 are A320 family, and 17 are A350 XWB family planes. 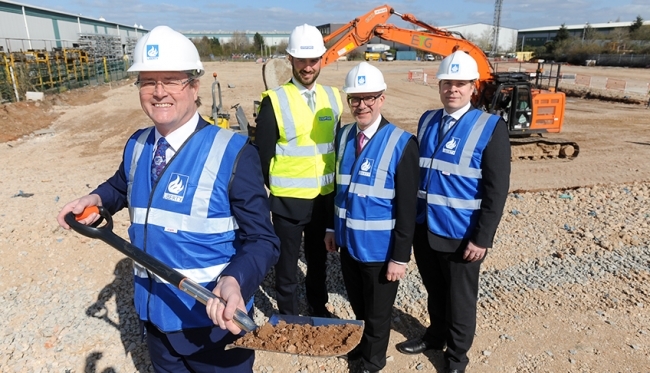 Liberty Engineering Group, part of Sanjeev Gupta’s global GFG Alliance, has broken ground on the construction of its new £10m Global Technology Centre in Leamington Spa. The state-of-the-art 50,000 sq. ft. centre will become the UK hub for Liberty’s R&D and engineering expertise and when fully operational, it will house more than 100 highly-skilled technical professionals, including 40 new engineering posts that will be created by the investment. 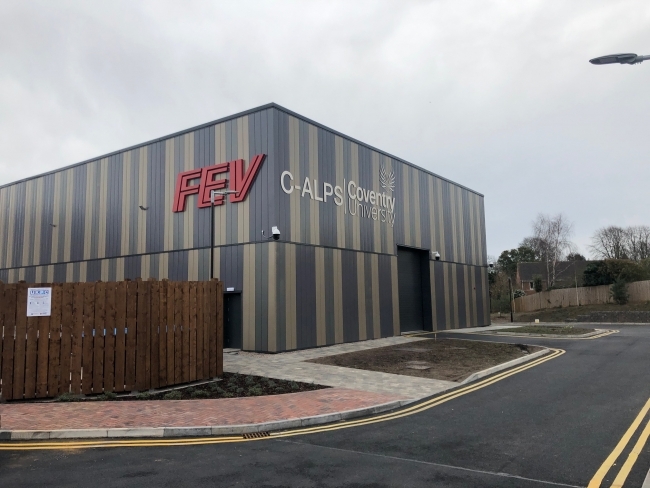 The flagship centre will support Liberty’s plans to grow its market share in the automotive and other sectors by providing solutions ranging from design and prototyping all the way to volume manufacturing. The company, which employs 5,000 in its UK industrial operations, is already a Tier 1 supplier to several major automotive manufacturers domestically and overseas. The centre will also house Liberty’s Vehicle Technologies, 920Engineering (920E) and Shiftec businesses, renowned internationally for their advanced lightweight braking and control systems. The new centre is expected to open in early 2020. The company behind the self-adhesive cable clip has been acquired by one of Birmingham’s longest-established manufacturers. Brandauer, which is a specialist in metal pressings and stampings, has purchased CB Cable Clips in an undisclosed deal that will safeguard three jobs, create two new positions and see all customers, intellectual property (IP), stock and assets transferred over. 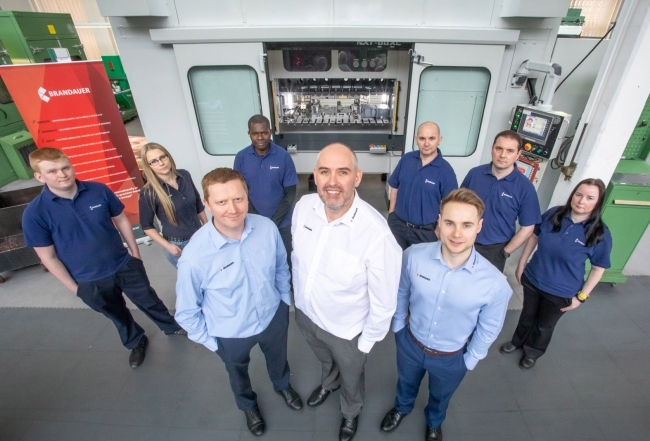 Under new ownership, it is expected that the business has the potential to double its £110,000 annual sales over the first twelve months and will complement its own product range that currently includes turnkey precision tooling, motor laminations and Elopin ® press-fit connectors. It is the first acquisition Brandauer has ever completed in its 157-year history and is part of an ambitious growth plan that will see it achieve £10m turnover by the end of 2020. Hopes have been raised that Honda’s Swindon plant could be saved after reports surfaced that BMW is interested in taking over the factory when the Japanese manufacturer leaves in 2021. Honda last month announced that it would cease production in Swindon in 2021. However, the availability of a ready-made plant could prove attractive to buyers if the UK maintains a stable trading relationship with the EU. The UK electronics sector experienced the fastest growth of any manufacturing sector in 2018, according to a new report by Santander and Make UK. Despite representing less than 5% of UK manufacturing output, the sector generated £19.4bn in turnover and £8.4bn in gross value added (GVA) in 2017. After a period of decline that started in the early 2000s, the sector experienced a major rebound in growth in 2017 and 2018: up 4.4% and 12.4% respectively. Lucozade Ribena Suntory is to redesign its best-selling Ribena bottle to make it easier for UK recycling infrastructure to identify the packaging as 100% recyclable. The company is also calling on action from government and industry to ensure the UK can become a leader in sustainability. A key part of the redesign will be the reduction of the full printed sleeves that cover some of the manufacturer’s bottles. By reducing the sleeves and increasing their transparency, automated sorting machines in UK recycling centres will be better able to identify the packaging and ensure that each bottle has the optimum chance of being recycled back into plastic bottles. It’s Friday lunchtime and you’ve found the perfect dress for that party on Saturday night but you’re stuck at your desk. No problem, because after a couple of clicks, it’s in your basket and on its way to your home. This is the joy of online shopping, and our love of it continues to grow. In 2017, online sales increased by 15.9% to £59.8bn in comparison with 2016, while in-store sales saw a jump of only 2.4%. But what price does getting something this fast cost the environment? Commuters who listen to music or browse social media might be increasing their chance of a stressful workday. New research suggests that mentally mapping out a plan for the day or using travel time as an opportunity to get into the work mindset can help to ease the pain of the commute, as Francesca Gino and colleagues explore.